I’ve not made my quilt yet so read over the notes carefully and ask any questions before starting. This is not a full set of instructions but just my initial notes for those that may want to make one of their own. I DO NOT have fabric amounts for this quilt. Mine will be scrappy and I will pull fabric from the stash until I’ve made all my blocks! For a 12 inch finished block, the squares in the 16 patch would be 1.5 inches finished (2 inches with seam allowances) and the half square triangles and corner squares would be 3 inches finished (3.5 inches with seam allowances). 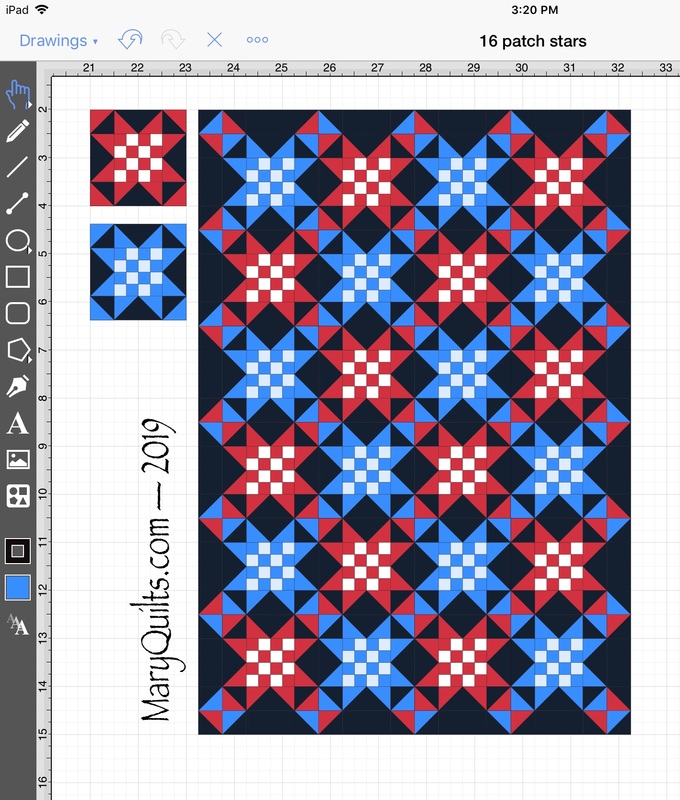 For a larger quilt with a 16 inch finished block, the squares in the 16 patch would be 2 inches finished (2.5 inches with seam allowances) and the half square triangles and corner squares would be 4 inches finished (4.5 inches with seam allowances) in both quilts. 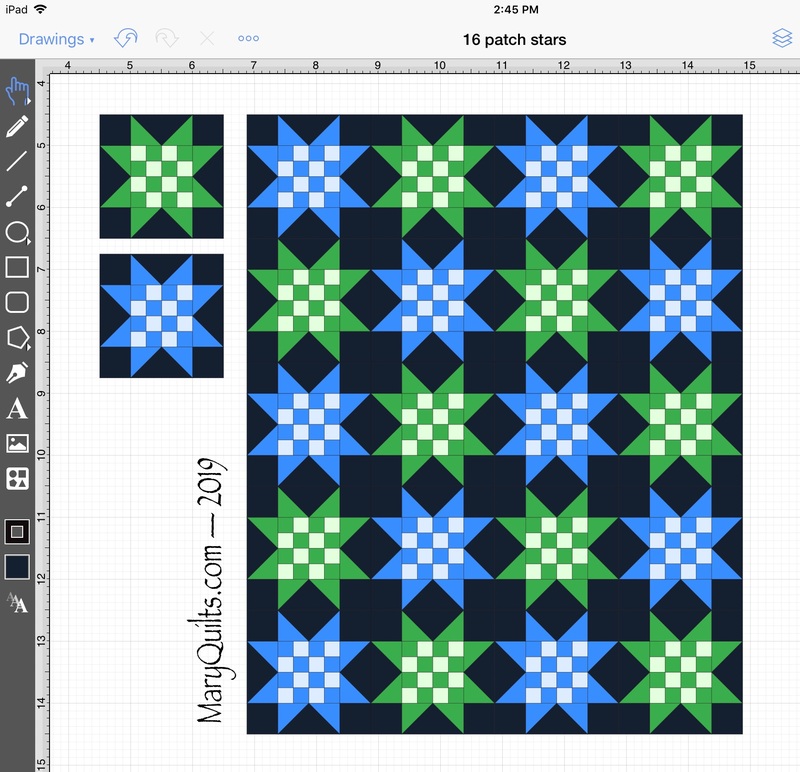 Quilt size will be 48 x 60 using a 12 inch finished block or 64 x 80 using a 16 inch finished block. If you want to use the smaller block size but have a larger quilt, add a border or more blocks. Version 2 is a little more complex, but still not difficult. This one has a pieced border from rectangles and half square triangles and is set 4 x 6 blocks. It’s a generous lap size quilt using the 12 inch block at 54 x 78.